All good things, as the old saying goes, have to end. One such is the season for mangoes. We wait for them with renewed interest next year! 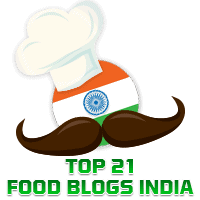 Elsewhere in this blog you will find recipes for Raw Mango Thokku, Instant Mango Pickle, and Green Mango Chutney. The recipe for Raw Mango Pulu was shared by my friend Vinanti Gouri and many of us who tried it out swore that it was wonderful. Please do try this out before the mango season ends. I am told that this dish is originally from North Karnataka. I am sharing the recipe that I used to make this delicious hot and sweet pickle. I have used Everest Tikhalal Hot Chilli Powder as it gives a nice colour and is hot too.but you can use any chilli powder of your choice. It goes well with rotis as also with rice. Ideally raw mangoes should be used but it doesn't matter if the mangoes are slightly ripe. In a small mixer jar. grind together the roasted methi seeds and the roasted mustard seeds to a fine powder. Keep aside.. When the mustard splutters add the curry leaves followed by hing powder and haldi. Stir for a few seconds. Add the raw mango cubes and 1 cup of water. Add salt and mix well. Transfer to dry bottle or jar. Remember to use a dry spoon whenever you serve this palu.